This year was my first CNY in Malacca and I was surprised when I learnt that most shops open during this period. Apparently, they would only take a break after the 14th day. We had plenty to eat — dim sum for supper, pork satay for tea, mee rebus for brunch, nasi beriani, coconut shake, fried carrot cake and more. 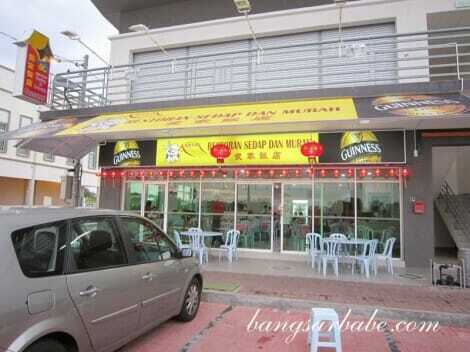 A friend of rif’s dad recommended this place called Restoran Sedap Dan Murah, just down the road from the new Marvelux Hotel. 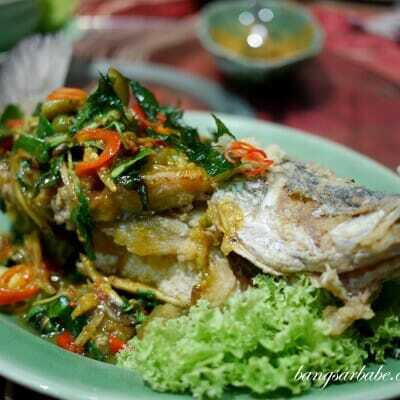 In English, sedap dan murah means delicious and cheap. 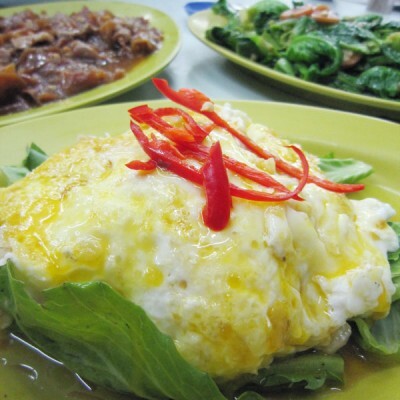 According to that friend, the asam fish was quite tasty, so we decided to have dinner there on the first day of CNY. Good thing his father called to book a table in advance, as by 7pm, it was a full house. Correct me if I’m wrong, but I noticed people in Malacca eat quite early – some families were eating their dinner at 5.30pm! We tried the chicken cooked with dark sauce and mint leaves, sweet and sour pork in yam basket, kangkung belacan, chiew pai tofu and asam ikan jenak. 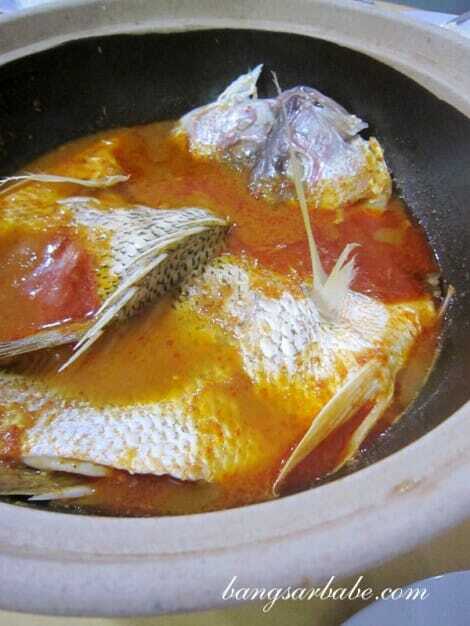 The asam fish gravy was too sour and it overpowered the flavour of the fish. For RM42, I found this quite pricey as the portion wasn’t very large. 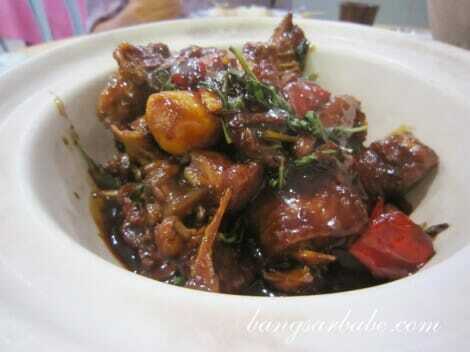 I enjoyed the yam basket, but not the sweet and sour pork (RM22). 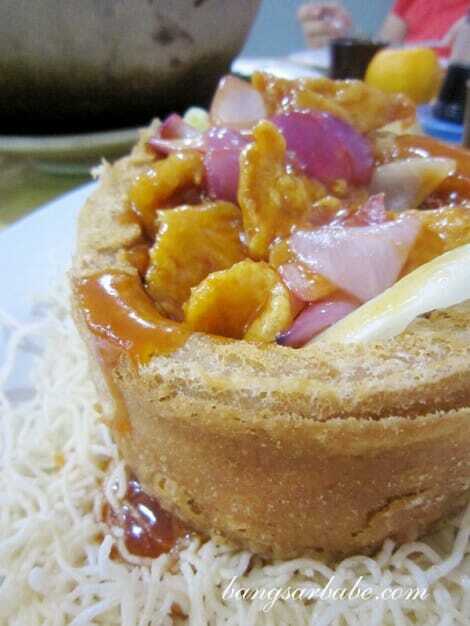 The pork slices were adequately tender, but the sweet and sour gravy tasted like a mix of chilli sauce and tomato ketchup. I like mint leaves in asam laksa and in lamb chops, but mint leaves with chicken tasted weird. 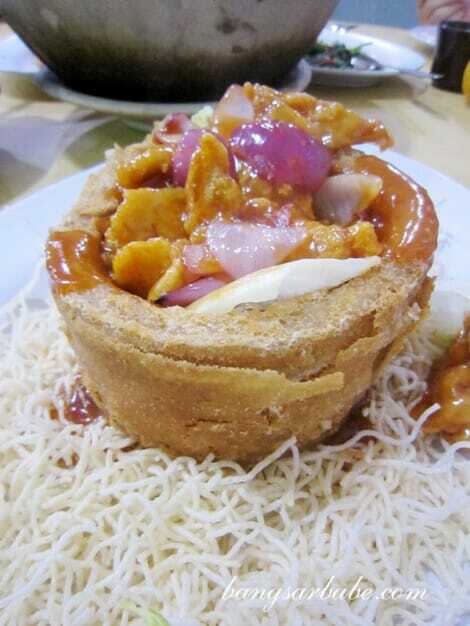 It was the owner’s recommendation, and I didn’t find this dish impressive. The gravy was sticky and slightly sweet, with a strong minty aftertaste. Not something I would recommend; unless you’re a fan of mint leaves. 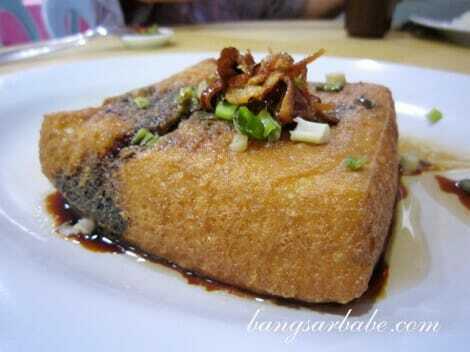 The tofu (RM12) was smooth yet firm and topped with fried shallots and chopped spring onions. Nothing to shout about. 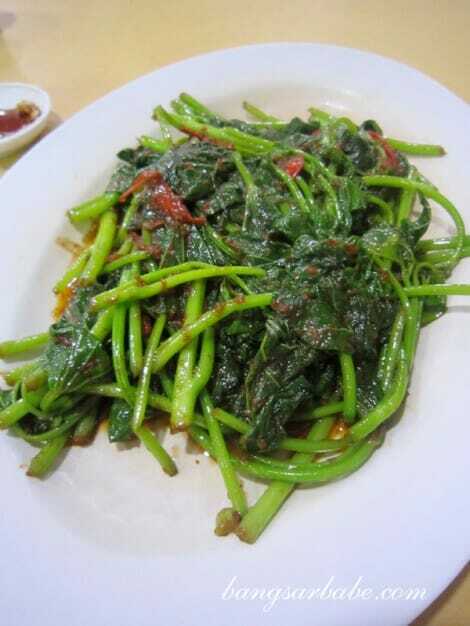 The same goes for the kangkung belacan (RM10), although I have to give them credit for the belacan — it was quite fragrant. Overall, I found the food very average and prices were not exactly cheap. It could be because of the festive period; dinner cost RM115 for the above. Verdict: Average dishes but comfortable dining environment. small town … ppl eat very early.. I think d price is reasonable during this CNY period..
LOL! I never eat dinner any earlier than 7pm so I was quite shocked to see people finishing their meals at 6pm. Hehe then you will get a shock of your life when I tell you what time I eat dinner….. 4.45-5pm hahahaha! It’s to suit my kids who want to eat early and then go for evening walk.